There’s been a lot of cool stuff going on in the live music world lately, and here’s a collection of links that have inspired future explorations and episodes of Live Fix Radio. Enjoy and rock on my friends! 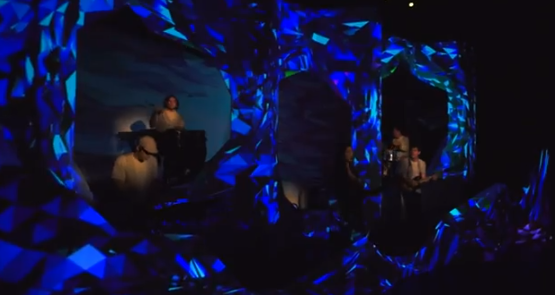 Indie band Love In The Circus explores 3D live imaging (video below); reminds us of our 3D explorations and other wondering about making the concert experience more sci-fi. Pearl Jam announces two shows, set to play Wrigley Field; great fodder to continue ongoing Pearl Jam and playing live at ballparks explorations. 60 arrested in Illegal Iran concert; reminds of our is live music worth dying for experiments. Adele will perform SkyFall for the first time live at the Oscars, reminds us of one fan who loved seeing Adele live. Chris Brown cancels concert because of women protest; interesting story considering how women experience live music. One Direction get ready to film 3D concert; good stuff to know after we’ve been exploring how kids rock live. Rollingstone.com’s ten most annoying concert fan behaviors; we’ll have to revisit this one for sure, and match it up against our own concert fan behaviors experiment. A live music festival on a moving bus; this one takes the road trip experience to a new level. Baby steals show at dad’s concert; makes you wonder if Dad’s show was really that good and if the kid will grow up to do this. Ticketmaster shares infographic about 2012 concert trends; looking at the stats makes me wonder how we can use our love for live music to help more people like this.